In home sessions are available at additional cost. I can come to your home in the metro area for an additional fee, which includes me bringing and setting up equipment as needed. The minimum additional fee is $30. It could be more depending on where you are. 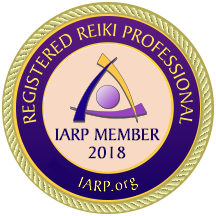 It is best to come to the office for a Reiki treatment, but if you are housebound, can’t walk, or have another condition that prevents you traveling, give me call and let’s see what can be done to help you. If you would like me to come to your hospital room, please check with the hospital to see if there are any restrictions. I can come before or after surgery, or anytime you need Reiki as long as we follow hospital rules for visitation and your doctor’s orders for rest. CALL 601-668-4291 to schedule an in home or hospital session.